Welcome to my Brain Evolution System review. I’ve been aware of the Brain Evolution System – also known as BrainEv for short – for quite some time but recently I decided to get my own copy of the program and see what it was like. 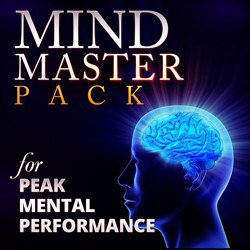 It’s a set of mp3 recordings that use special sound techniques to bring your brain into certain states that often occur briefly naturally by accident. But if you deliberately spend longer periods in those states, it can bring about personal development improvements that many people are looking for. Brain Evolution System will help you to develop a strong, sharp and flexible brain. But please be careful as I think their sales page is a bit confusing! If you want the free trial and go on to buy the product, it will cost $297 over 3 months. Then enter the discount code BE39169 to get it for $100!! You have a 7 month moneyback guarantee so there’s no risk. Okay, let’s get on with the review. Brain Evolution System Review – What is it, and why do you need it? Modern life can take its toll an a person with our 24/7, always connected lifestyles. It’s easy to become tired and drained. We sometimes find ourselves performing at less than our best with our moods becoming low. We feel drained and stop thinking effectively. Many people nowadays are looking for self development tools that can help them raise their game and take them out of this downward spiral. The Brain Evolution System promises to be the tool that delivers that result. 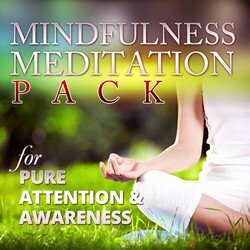 Using techniques known collectively as Brainwave Entrainment, the MP3 files use specially created sounds which influence your brainwaves. Check out the different brainwave frequencies and how spending time in them can benefit you in my article here. The sounds safely shift your brainwaves into states of peak performance and keep you there for the duration of the session. And it can be done by listening to, and focussing upon, an audio file for 30 minutes. 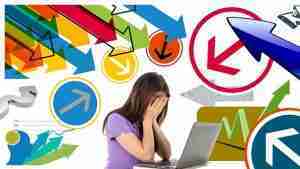 Eliminate stress, anxiety and worry thinking. It can help you relax more and sleep better. Boost your mental capacity, improving your memory and becoming more creative. Improve your mood, have more energy and master your emotions. 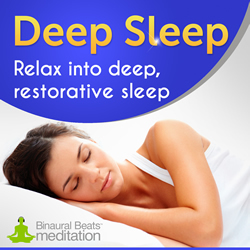 To get the best from the program you should listen using good headphones for binaural beats. Brain Evolution System Review – How long does it take? The program has six levels and each BrainEv level lasts 30 minutes. To get the benefits, you need to listen to each level for a month and then move on to the next level. Starting with level one, you should listen for six days, then take a day off for reflection. After going through four cycles – almost a month – you should start with the next level. The full program takes six months to complete and there is a guide on how to use it for ongoing maintenance once you have completed it. But don’t forget to use the Brainev Discount code BE39169 to get it for $100!! 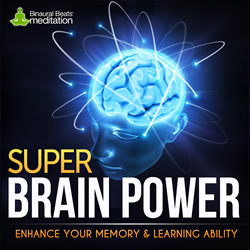 Brain Evolution System Review – What brainwave entrainment does it use? It’s worth discussing why the makers of this product think it gives better brainwave entrainment results than other programs. They say it uses a combination of techniques which together bring about better results than any one entrainment method. They call this their 3P DEAP technique. This stands for 3 Point Dynamic Entrainment Audio Process, which is quite a mouthful! The three menthods are Binaural Entrainment, Rhythmic Entrainment and Temporal Entrainment. Binaural Entrainment is a long esstablished method and sends different tones to each ear for entrainment. Rhythmic Entrainment uses isochronic tone pulses along with digital effects such as chorus, delay and panning to add to the binaural process. Temporal Entrainment was a new one to me but is explained as relating to timing that adds effectiveness to the first two methods. It does this by using the brain’s understanding of time and speed to regulate breathing and heart rates to speed up or slow down in unison with the other entrainment. Brain Evolution System Review – What is in each level? If you are familiar with brainwave frequencies, these descriptions will make sense to you. If you are not and want to understand, read my summary here. 1 Transcendence – This level uses the entrainment frequencies that the brain most easily entrains to. It gives the user a flavour of meditation, slowing down and release from distraction, and gets them used to entrainment. It gives a quick descent into theta brainwave states, and briefly delta. 2 Lucid Echoes – This level builds in level 1 and adds to the meditative foundation by going deeper into theta levels. It also adds some distraction to get the brain to choose calm. 3 Infinity – This level continues into deeper entrainment but also challenges the brain to cope with multiple frequencies without losing focus. It first ramps up to a beta level while alpha, theta and delta also play beneath it. This challenges the mind to maintain a focussed calm even when a faster entrainment is present. 4 Crystal Rain – This level offers the most relaxing entrainment so far but also has entrainment that is not liear, ie the entrainment moves up and down frequencies but overall the entrainment is balanced. This level trains your brain to be both alert and deeply inward at the same time. 5 Neptune’s Cave – This level takes your brain to the deepest in the program, to extremely low brain frequencies in the delta range. Part of the entrainment is designed to bring about release of brain chemicals that promote feelings of wellbeing, while stimulating your immune system and processes that repair and rejuvenate the body. 6 Fusion – This level brings together and integrates the entrainment of the other five levels. You will also spend more time at frequencies that take you from attentive focus to undistracted awareness. This can lead to a deepening of creativity and intuition. There is also a level 7, not part of this program, for users who have completed levels 1 – 6. I’ll review that later when I get there. 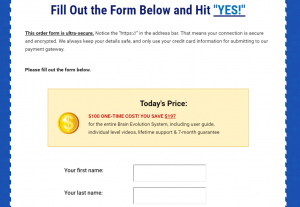 Brain Evolution System Review – What does it cost and is there a moneyback guarantee? You can get the Brain Evolution System in a couple of ways. You can try level 1 for free for 30 days, and then if you want to carry on, you pay 3 monthly payments of $99, making £297 in total. Or you can use the discount code of BE39169 to bring it down to a one time payment of $100. You still get the full system, support and moneyback guarantee so if you think there is any possibility that you might carry on after level 1 you should use this option. To get the discount, still click on the free trial button but before putting any personal details in, look for the statement ‘If you have a voucher code, click here to enter.’ and click it. Then key in the code BE39169 and the page will refresh with the option to buy at the lower price. There is a money back guarantee for 7 months after you buy the product. You get to try out all six levels of the program and if you don’t think it delivered what it promised, you can get a refund. I don’t know about you but I think this level of commitment is very encouraging. To be honest, I’m only a few weeks into Brain Evolution System level 1 so I can’t really report user experience yet. I found the registration process good and it was easy to download all the files so I’m happy there. I listen to Transcendence once a day, as instructed in the BrainEv User Manual. I tend to listen while sitting up and I try not to have any other distractions, such as the tv in my line of sight in case I open my eyes during the process. I close my eyes and just listen to the sounds. I’ve been through all the Zen12 levels and really enjoyed them so entrainment isn’t new to me and BrainEv level 1 is really only an introductory level. Nevertheless, the rainfall background is very relaxing and I do feel more relaxed after each listening. I’ll come back and update this post as I progress through it. It is a system that claims to produce results as good as the very famous and expensive Holosync program, so I have high hopes. Really, though, I’m not taking any risk – the risk is all on the producer. If it doesn’t live up to the claims, I can get a refund. Click below to try it out risk free yourself. PS Please note that brainwave entrainment isn’t for everyone. There is a small number of people who shouldn’t use it. These include anyone who is under 18, pregnant, suffers from epilepsy, seizures or any psychiatric disorder, and those who wear a pacemaker. Please be sure to check out this list on the site if you think you may be affected. 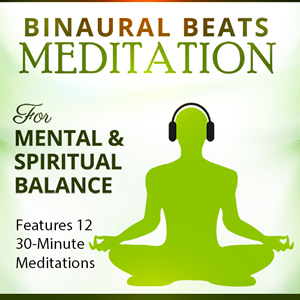 If you want more information read about can binaural beats harm you here. I hope you enjoyed my Brain Evolution System review. If you did, please consider leaving a comment. It would be great to hear from you. A share or like on our Facebook page would be appreciated too.